In my years of helping others scale their businesses, I hate but to notice that for too many executives, their personal relationships suffer as they become more successful. This clearly isn’t ideal, and definitely not why they got into the business in the first place. What is the point of business success if at the end of the day you’re pulled so thin on all sides you start resenting both your business and your family/relationships? Through his decades of being a wealth advisor, James Hansberger found that what mattered most to those near the end of their life were, Faith, Family, Friends, Fitness and Finance — in that order. Which is why, I’m a big believer in establishing personal priorities and aligning them with your professional goals. I find this so important that I made it a point to add it to my book Scaling Up, as the One-Page Personal Plan (OPPP). The executives who have tested it found that it has a surprisingly immediate impact on their relationships and lives. No matter how much wealth you accumulate, in the end it will always boil down to the depth of your relationships with friends and family, and the sheer number of people you’ve helped along the way. These things are the true measures of wealth. I challenge you to instead think of financial wealth as a resource for fostering those relationships. You’ll notice that we listed James Hansberger’s 5Fs (Faith, Family, Friends, Fitness and Finance) in the form, as a way to help you identify your priorities in these areas. Set aside just 60 minutes each quarter to fill out this plan. Working your way from top to bottom of each column, you’ll set your priorities for the next 10 to 25 years, next year, and next 90 days. There is also a section for you to fill out what activities you’d like to begin doing and a section for activities you’d like to stop doing. Let’s go into more detail below! Let’s start right at the top of this column by listing the key group of people with whom you want a lasting relationship (10 to 25 years). This includes your family and friends, and you know what? I’d say why not add an employee or customer in here once in awhile. This is a great opportunity to help those you do business with as well. You also want to list the various communities that you’re involved in. 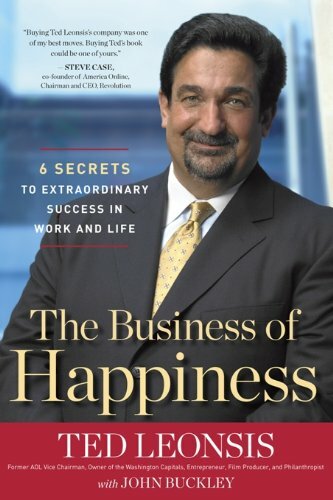 In his book, The Business of Happiness: 6 Secrets to Extraordinary Success in Life and Work, Ted Leonsis found there is a strong correlation between happiness and the number of diverse communities in which you are active. Now that we have that in focus, pick a few key relationships on which to focus for the next 12 months and the next 90 days. This doesn’t mean that you can’t spend time with people not on this list, but it just gives you a clear idea where to spend your limited free time. So for instance, you might decide you want to focus the next 12 months on spending more time with your newborn baby, and this quarter, on your brother who is getting married. Finally, we get to the “Stop” column. Sometimes, there are certain people in your life that are destructive, they drain the life out of you, and/or distract you from your goals. You want to end these relationship as gracefully as you can. Jot down which relationships you feel might not be serving you, in this column. Who are the VIPs in my life?Who would I like to have more of in my life? Don’t skip this section. This section of the OPPP can pave the way to a more meaningful life. I’ve come across so many CEOs who have hit critical milestones for their company and still don’t feel as if they’ve made a contribution to the world. So I’d like you to think about the major ways you’d like to make an impact through your work — things that are beyond monetary goals. I’m talking about things like mentoring others, setting up a non-profit, things that make you feel good and give back to the community. Now do the same for your personal life. Think about the ways you can make a difference to the key people in your life. Perhaps yours is to have a blissful marriage instead of just staying married, as many people do. Write down your objectives in your OPPP. You want to focus on achievements (short-, medium-, and long-term) that are relative to the people listed in your relationship column. Can you see how this is coming together in building stronger, healthier relationships? And finally, just as we did in the relationship column, you might also want to stop pursuing certain achievements that take you away from relationships that matter the most. How can I help those most important to me? Routines set you free! I love saying that because I believe it to be true! Regular routines will help you achieve your larger goals. Planning a date night with your partner. Booking alone time with your kid every week. Scheduling an annual (or biannual) family gathering with the whole extended family. Working out with a workout buddy. Going to the ball game with your kid. Having breakfast together with your family. Sunday BBQ with your family and friends. You can establish routines with people whose presence in your life supports your bigger goals — either personal goals and/or relationship goals. Then there are rituals that don’t support you — some that are downright destructive — both to you and to those around you. List down which ones you’d like to stop doing in the “Stop” section. What brings me closer to the people I care about? What activities help move me towards my larger goal? Finally, we come to the “Wealth” column. This is where things come together, for your wealth is a resource for supporting the rest of your plan! A wise guru once told me, “All assets become liabilities!” so with that in mind, look at financial wealth beyond being an end in itself. In this section, you want to focus on how your wealth will flow through you in the service of others, rather than hoarding it. Set down goals for the amount of money you want to donate to causes and communities that matter to you, over the next couple of years. Calculate how much money you will need to support the activities you’ve planned with your family and friends for the next 12 months. There is research that supports spending money on experiences rather than things, leads to more happiness. And note any wealth-producing assets or cash-draining liabilities you need to address in the coming months. Basically, being in service to others seems to attract more wealth — the natural law of reciprocity. Keep that in mind when finishing this section. What causes and communities matters to me? What experiences do I want to share with my VIPs? At the end of the day, it doesn’t matter if you have the largest company in the world, if your personal life is in a mess. Having a strong and fulfilled personal life provides an important foundation for sustaining your efforts in your business. So here’s a challenge: Dedicate just 60 minutes this quarter to filling out your OPPP and see just how much more balance and energy it brings to both your personal and professional life. You can download your copy of the OPPP HERE. Get back to me and let me know how it’s changed your life (and trust me, it will). Already implemented the OPPP and seeing some amazing results? Share your experience below!